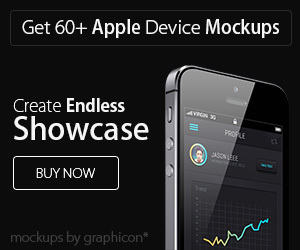 Showcase your work best with these two different PSD Mockups by Vinay Mittal. In this pack you will get all new Apple devices like iPhone5S, iPhone5C, New MacBook Air, New iMac, iPad Air. 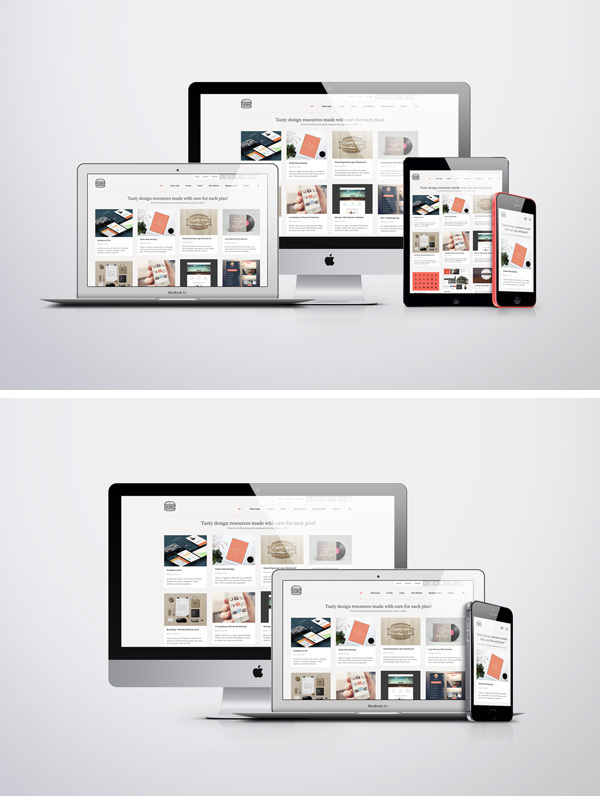 All objects are fully-layered so you can create your own layout with ease. 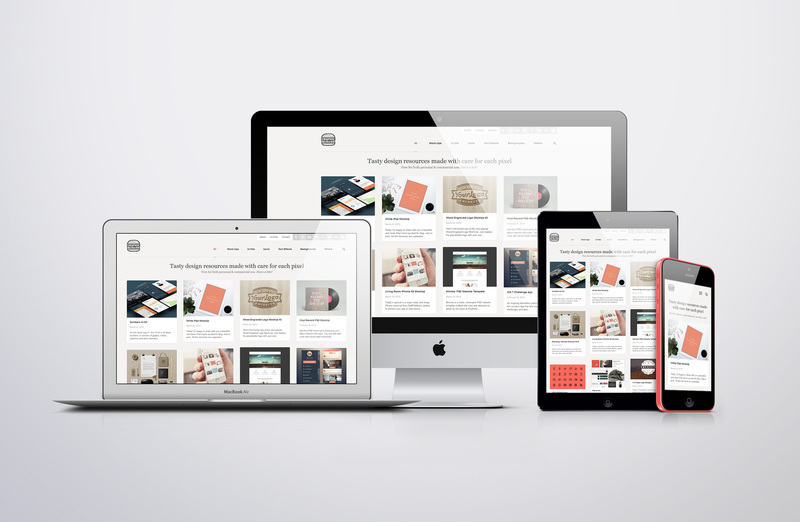 Ideal for Responsive Web & Apps Design Showcase or anything you want. You can get the full set of these mock-ups at CreativeMarket.